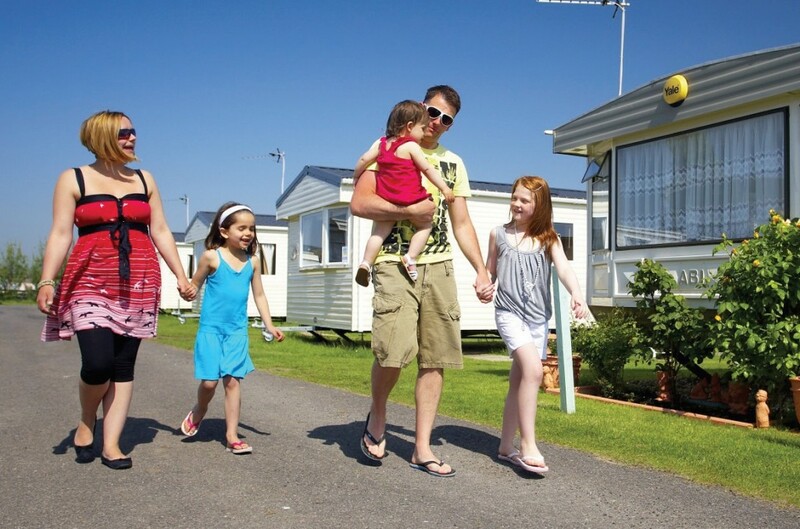 Park Holidays UK says that sales of holiday caravans and lodges to British families were up by over 40% on last year’s figures at the start of July. The pulling power of the Great British holiday has never been so compelling. Staying right here on glorious UK soil for a holiday is on the rise. In fact more than a quarter of us are foregoing far flung exotic breaks this year in favour of home-based holidays. Holiday parks across the country are enjoying the benefits of the staycation trend which far from slowing down, is in fact ‘hotting’ up. “The notion that Britain offers the very best holiday experiences is, I think, becoming firmly embedded in more and more people,” says Tony Clish, Director at Park Holidays UK. “It is great news for UK tourism providers, of course, but also for this country’s rural economies where many small businesses and jobs depend on visitor spending,” he adds. The rise in the number of holiday home buyers, says Tony, points to a robust future for UK tourism beyond 2016: “Families and couples spending thousands of pounds on a holiday home are making a clear commitment to enjoying domestic holidays for a long time to come. “Just a fortnight after the uncertainty caused by the Brexit decision, our holiday home sales were up by 43% compared with the same week last year. “Its early days, but the indications are that the domestic tourism industry is experiencing an uplift, and that this is also impacting on the sales of holiday homes. “People now see Britain as their holiday future, and are literally buying into it,” said Tony. The Kora safari tent sleeps two and comes in a choice of muted colours, ranging from light sand to olive. The huge explosion of glamping has fed the staycation trend, with all manner of yurts, shepherd huts, safari tents and camping pods popping up in quiet corners of the countryside. The obvious appeal for holidaymakers is that they can experience the best of both worlds - the simplicity and stress-free environment of the great outdoors while enjoying home from home comforts, coupled with rustic country charm. “Glamping is the big thing right now,” says Steve Hansford, Managing Director of Boldscan. “People want to be able to tuck up in a proper bed at night and enjoy the warmth of a rustic wood burning stove.” He adds: “There has been an enormous growth in landowners and farmers who want to move into this business and offer people this experience. Whether it’ is a classic safari tent, a futuristic geodome or a tent reminiscent of a Mediterranean villa, Boldscan has a complete range, as well as being able to offer advice from planning to finance. The company has recently launched The Kora, part of their Albion Canvas range. This easy build, mini version of the classic safari tent sleeps two and comes in a choice of muted colours, ranging from light sand to olive. 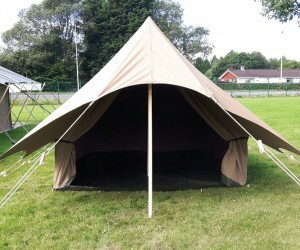 The high quality tent is manufactured in Boldscan’s Somerset factory from heavy duty 415gsm polycotton canvas, which is fire retardant and water and mildew resistant. The tent includes a 650gsm PVC walled ground sheet and sectioned timber poles. The inner tent is 4m x 3m with a wall height of 90cm and a central ridge height of 2.4m, so plenty of room for a double bed and space to spare. Outside, the covered porch area offers the best seat in the house.